By now, if you’ve done your research into cryptocurrencies and blockchain you’ve probably heard of the term “smart contract” at least once before. If you haven’t, this article will give you a good introduction to what smart contracts are. Furthermore, this article will dive into the various smart contract platforms that exist today. You’ve probably heard about Ethereum already, even if you don’t know exactly what it does. But have you heard of other platforms like Stellar or Hyperledger Fabric? These other platforms are beginning to provide some serious competition to Ethereum’s dominance as the de facto smart contract platform. The smart contract platforms that I will be focusing on in this article will be Ethereum, NEO, Stellar, and Hyperledger Fabric. I’ll show you each of the platforms’ benefits and drawbacks and how they compare with Ethereum. I’ll also talk about some projects that are being built on top of each of these smart contract platforms, so you can see how these smart contract platforms are being used in real-world projects. First, however, you have to understand what a smart contract is. You might be wondering what a smart contract actually is, in the first place. You might’ve heard the term used during a presentation, or talked about by cryptocurrency developers, or heard your friend mention it. But what is it exactly? In essence, a smart contract is a self-executing digital contract. The idea behind a smart contract is that you’d be able to take a regular contract, convert it into a readable format that a computer can understand, and the computer would be able to automatically enforce the smart contract based on the various parameters and rules set out in the contract. Smart contracts allow us to no longer rely on lawyers to execute and enforce contracts. Instead, we rely on the computer code written in the contract and the computer to enforce the contract. Why are smart contracts beneficial? 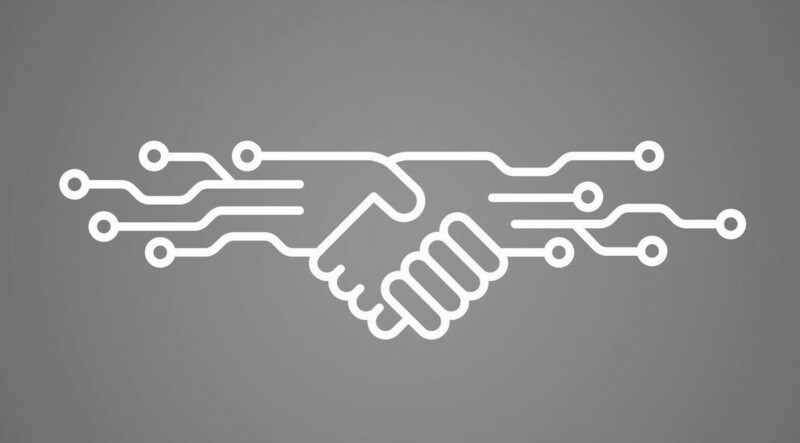 Smart contracts allow you to exchange anything of value between individuals and groups of people in a completely transparent manner. At the same time, smart contracts remove the need for middlemen such as a lawyer to enforce the contract and exchange the item of value. Smart contracts have a variety of use-cases, some of which are still being explored and discovered at the time that this article is being written. We still don’t know the full extent to how smart contracts can be used, in the same way, that it would be nearly impossible in 1998 to know the full extent of how people would use the internet and what they would develop on it. However, people have some idea of how smart contracts can be used based on smart contracts that have already been built using smart contract platforms. One of the most prominent use-cases of smart contracts is doing a crowd-sale, more commonly known as an Initial Coin Offering (ICO). In an ICO, people can contribute to a group who will work on developing a protocol and platform for a token. In exchange, people who contribute to the ICO will receive some amount of tokens in proportion to the amount of money that they contributed to the ICO. ICOs are a massive use-case for smart contracts: several projects have raised over 100s of millions of dollars through an ICO including Filecoin, EOS, and Bancor. Ethereum is probably the best known smart contract platform today and is certainly incredibly successful with a market cap of $67 billion at the time this article was written. Ethereum was created by Vitalik Buterin when he first wrote the whitepaper for the project in 2013. Since then, Ethereum has become the de facto platform for blockchain and smart contract developers to use for ICOs and other projects. There are too many projects being built using the Ethereum platform to count, but let’s focus on some of the better known and more prominent projects in the cryptocurrency community. One prominent project that is using an Ethereum-based token is OmiseGo. The motto of OmiseGo is to “bank the unbanked” — i.e. provide financial services to people who would normally have difficulty accessing them. Another prominent project built on top of the Ethereum platform is Augur, which aims to create the first ever decentralized prediction market. The main advantage of Ethereum is that it is the most popular smart contract platform that is being used today. That means that it has a significant amount of support around the project, and it’s easy to find video and text tutorials on how to develop on top of Ethereum. Furthermore, smart contract and blockchain developers will probably be most acquainted with solidity (the programming language that Ethereum uses), and so they won’t have to spend extra time learning a new programming language of a different platform. There are several downsides to Ethereum. When it comes to transaction speeds, Ethereum is slower than other smart contract platforms. Ethereum takes on average about 3.5 minutes for a transaction to go through. Furthermore, it costs a certain amount of Ethereum to do transactions on the network. Performing large amounts of transactions can get very costly. Again, other smart contract platforms have created solutions for this issue. NEO is a smart contract platform that has sometimes been referred to as the Ethereum of China. This is because NEO was the first smart contract platform launched in China. NEO was created and developed by Da Hongfei. NEO currently has a market cap of $6 billion at the time of writing. NEO was originally launched in 2014 as Antshares before rebranding to the name NEO in June 2017. One prominent project that is being built using NEO is NEX. NEX aims to be a decentralized exchange that will enable trades across multiple blockchains such as NEO and Ethereum. Another prominent project that is built using NEO is Moonlight. Moonlight is a talent matching platform that will match workers with employers using an algorithm built into a smart contract. NEO has several advantages over Ethereum. First, there is more potential for adoption on a massive scale in China. This is because of the presence and relationships that NEO has already established in China. Secondly, with NEO you have the ability to write smart contracts in a variety of different programming languages. This is because smart contracts written on NEO compile to an intermediary Microsoft language. Lastly, there appears to be more support from the NEO team in supporting projects that build on top of NEO as compared to Ethereum. This could be an effective way to incentivize teams to build on NEO if they know they will get much more support. It costs 500 GAS to deploy a complete smart contract. This is equivalent to $15,000 at the time of writing. Some people view this as a way to reduce spam on the NEO blockchain and to prevent low-cost scams from taking place. Others view this as reducing the number of developers that can build using NEO because it is so costly. Furthermore, technical support for NEO is small compared to Ethereum. It’ll be much easier to find solutions to common technical problems for Ethereum as opposed to NEO, because Ethereum is used more often. Lastly, NEO cannot be split. That means it is impossible to own 0.1 NEO, for example, while it is possible to own 0.1 Ethereum. This could be another barrier to entry if NEO ever becomes more expensive due to a rise in value. Stellar was originally created by Jed McCaleb in 2014. The Stellar team has attracted prominent advisers including Sam Altman from Y Combinator, Matt Mullenweg from WordPress, and Patrick Collison from Stripe. There are many projects that are being built using the Stellar platform. One of these projects is called Mobius. Mobius decided to do its ICO on the Stellar network as opposed to Ethereum. Mobius made the decision to use Stellar because they needed a network that could handle large amounts of transactions cheaply and quickly. It costs very little to perform transactions on the Stellar network compared to Ethereum. In fact, it is possible to perform 10s of thousands of transactions with the fee being only a few cents. Furthermore, Stellar has much faster transaction times than Ethereum. The average time for a Stellar transaction is less than 10 seconds. This is about 1/10th the transaction time of Ethereum. One of the current disadvantages of Stellar is that it can be very difficult to buy, as it’s not supported by exchanges such as GDAX or Coinbase yet. Stellar also has a limited amount of technical support as compared to Ethereum. This is because Ethereum is used much more often than Stellar, and so there are many more blockchain developers who would be able to develop on top of Ethereum as opposed to Stellar. Hyperledger Fabric is a project hosted by the Linux foundation. It aims to be a smart contract engine for distributed ledger technologies (DLTs). Hyperledger Fabric was originally developed by Digital Asset and IBM as a result of a hackathon. One of the projects that are being built using Hyperledger Fabric is Trustabit. Trustabit uses Hyperledger Fabric to issue vouchers automatically when a passenger’s flight is canceled or delayed. Hyperledger Fabric is well-aligned for the business-to-business (b2b) market as opposed to the business-to-consumer (b2c) market. Most enterprise applications will find it easier to develop on top of Hyperledger Fabric because of its support from IBM. Furthermore, Hyperledger Fabric gets considerable support from IBM and businesses may find this more helpful than the support that they get from other smart contract platforms. Unlike previous smart contract platforms mentioned, Hyperledger Fabric does not have a built-in cryptocurrency. While it’s possible to develop a cryptocurrency on top of Hyperledger Fabric, it would require a significant amount of time and money for development. Another downside of Hyperledger Fabric is that it isn’t as “battle-tested” as other smart contract platforms because it’s still incredibly new and not used as much as other platforms. In conclusion, the smart contract platform that you use will depend on what you’re looking for. If you’re looking for a battle-tested platform that has massive support and looking to build a consumer dApp, then Ethereum is probably for you. Other smart contract platforms also offer their advantages and disadvantages compared to Ethereum. In the end, the smart contract platform that’s best for you will be based on your needs.